Boker’s signature Washer Sample Pack and Total Service Brochure details the company’s qualifications along with a sampling of its comprehensive washer options. Boker’s Washer Sample Pack includes a variety of washer sizes and styles, including a D washer, tab washer, special shaped washer, dome shaped washer and notched washer. Samples include both metallic and non-metallic materials. With extensive washer offerings and customization capabilities, the sample pack exhibits Boker’s ability to manufacture washers that meet specific application requirements. 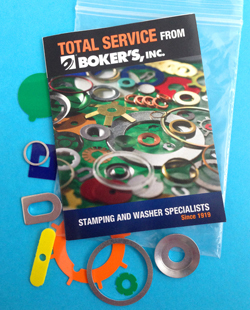 Along with the washer sampling, Boker’s Washer Sample Pack includes its Total Service Brochure. 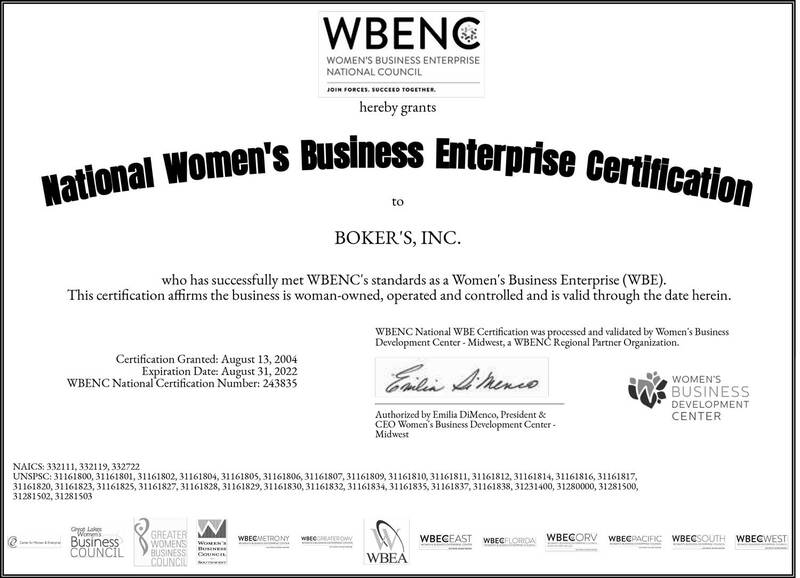 Detailing the company’s complete range of products and services, the brochure includes Boker’s stampings, secondary operations, quality assurance capabilities and certifications. 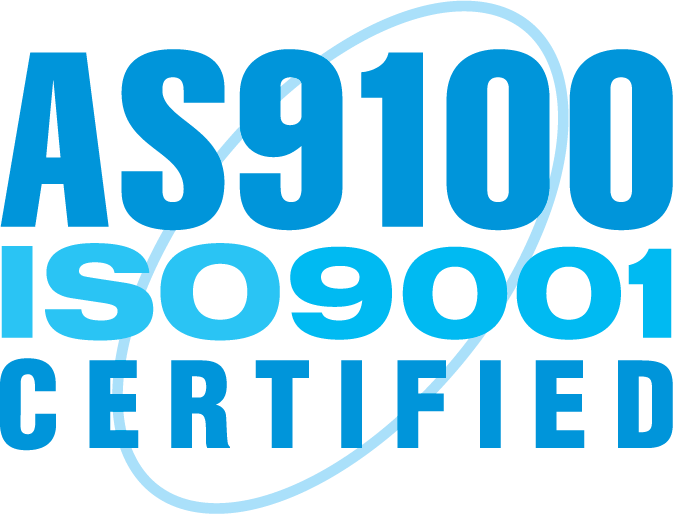 It also highlights its fast turnarounds and specialty delivery programs, such as Dock-to-Stock and Just-in-Time. To satisfy diverse applications, Boker’s can accommodate standard or non-standard flat washer orders in short, medium or long runs, with no tooling charges. With thousands of flat washer sizes, 2,000 material options, including metallic and non-metallic, and extensive custom manufacturing operations, Boker’s offers millions of washer possibilities. You can request a Washer Sample Pack from our information request page.